Hope you'll like it and enjoy! 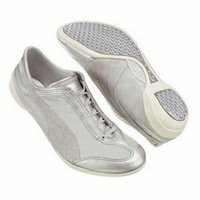 These shoes are by the Puma fashion collection NUALA and are sooo cute. They have supple napaa leather, too. smoothie. You can find them here. designer collections or stores nationwide! They cost tada...$180...They look pretty comfy too!! These shoes are crack a lackin if that's even a word...But they are soooo cool for you statement people out there! 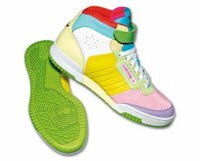 They are the mid- reproduction of the classic women's workout shoe of the 80's but with puffed details and bright colors. AND ooooooooooh theyr'e imported. WAT WAT. Get em' while you can here, they are the Adidas Wom G Race Mid and are $85. These shoes are gorgeous baby...They'll have the paparrazi swoon over you. The price is also star-worthy too at $250. 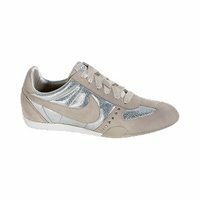 But c'mon look at them, they are soooo cute!With it's shimmery ribbon laces, stylish shape, and iridescent outer; they will have you sashaying down your own red-carpet. G to the lamorous!!! Anyway...they are Nike (DUH) and are the Sprint Sister Premiums. YOU can get em' here. 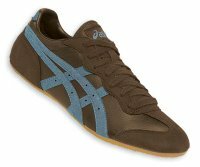 I know this is the suckiest picture ever, but it's the only one I found...Anyway they are really cute, being the Whizzer Lo's in brown/saxe costing you $65. They are in the cheer section and the wrestling section. I know. wierd. Get em' here. These slip-ons are the cutest thing to hit this earth. They are fraternal, too! The shades coordinate and the heart is only on one side. 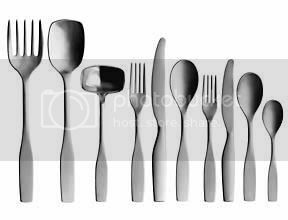 Wear these with anything!!really. They are the 80/20 printed slipons, costing you $55 in white/lavendar.You can get 'em at Urban Outfitters and no, that was not a typo. I-N in and O-U-T out!!! 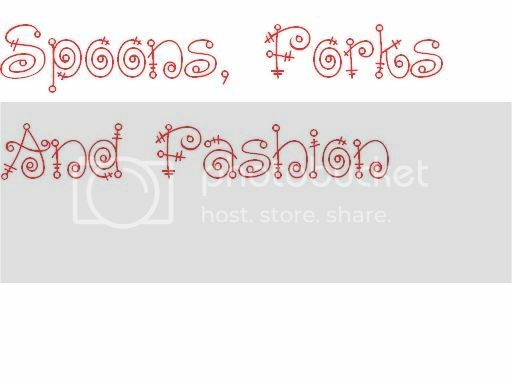 This post is going to be about a new trend that is truly rockin' and has stars like Sienna Miller, Brittany Murphy, Lindsay Lohan, and Mischa Barton raving about. They are the new leggings. They are the new jeans. They are the new pants. They are the new item in your wardrobe that will make it resemble a celebritie's. They are the gray denim jeans. First of all, leggings are in the stage where thay are not exactly O-U-T out but aren't exactly I-N in either. 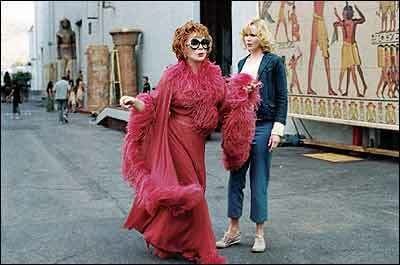 At this point, this is regarding any clothing, accessorie, fashion item, etc., you should just not wear it anymore. So don't. Anyway, you can wear gray(grey)(whatev) denim jeans anywhere so they double as a casual pant or a jean (dressy or casual). REMEMBER: These type of bottoms are not IN if they aren't rocker-esque. So They have to be completely cigarette type and hug your every curve by being stretch and tight (thank god for 2% spandex). These jeans are Sass and Bide one of the most sought after brands for jeans by the elite such as Kate Moss and Hilary Duff. They are the Frayed Misfits Stove Pipe Jean Stretch for $231. The left is in faded black while the right is in gunmetal. This Victoria's Secret one-shoulder top has the ruffles to make it the cheaper twin of Linday's top-half. It is the Ruffle One-Shoulder sweater tank and costs $58. I LOVE this skirt because it has the new flair that does NOT make it bohemian at all, but rather classic and makes me want to sit down and watch Home On the Prarie re-runs for hours until I'm bored. It also goes great with the top, and even though it isn't exact to L.LO's look like the latter, it still makes the LOOK. It is Catherine Malandrino and is the Apron skirt with Peticoat Embroidery costing you $395. 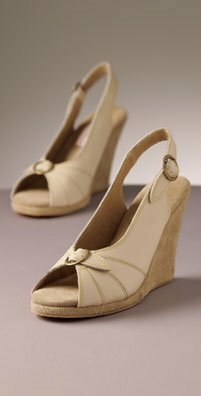 These peep-toes are a beige neutral color just like Lindsay's and are very cute minus the shimmer. They are by Charlotte Ronson and are the Annabelle shoes, costing you $145. These gold hoops would complete this look perfectly with a 60's style voluminous side ponytail a la Lindsay Lohan or opt for Bridget Bardot's signature voluminous thin headband hair-do. 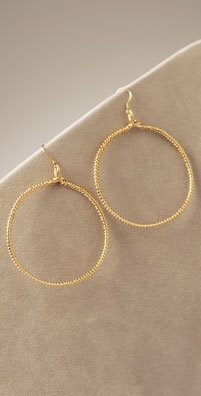 These hoops are Coqui and are the Large Coiled Gold Hoops in gold for the price of $99. This post is going to be covering Prom 101:Accessories!!! But 1st Im going to show you my fave pic ever that I !!!! 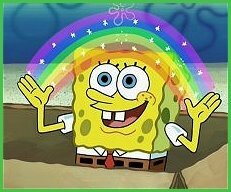 I'll give you a hint: "IMAGINATION"
Anyway, now I will start with the most important accessory: The Ultimate Clutch!!!! princess-cut diamonds as a snap closure. It is the Coach Satin Framed clutch and will cost you $248. 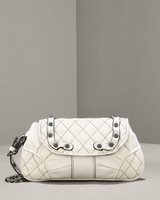 You can get it at Coach.com or Coach stores nationwide. 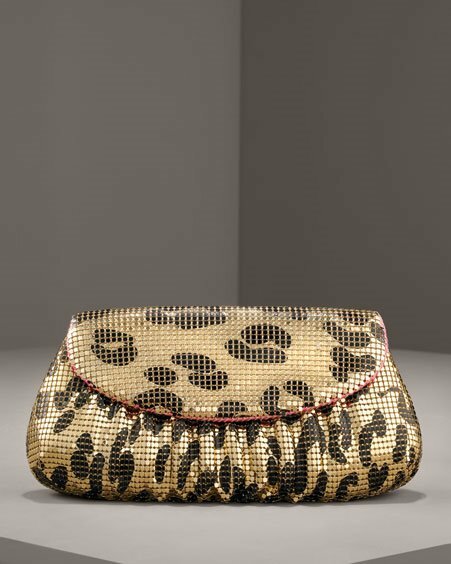 This bag will get you in touch with your wild side!!! 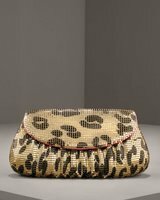 It is the Felix Rey Jungle Mesh clutch and is $90. 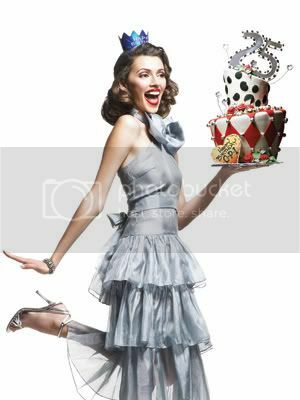 Be sure to pair it with neutrals, though, if not it will be too wild!! It is on sale at Neiman Marcus. 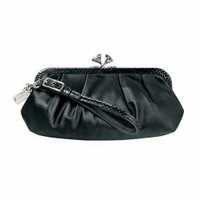 This clutch is 1 part rocker, 1 part angelic, and 2 parts fabulous!!! This clutch is sooo gorgeous...I'm speechless (for once). 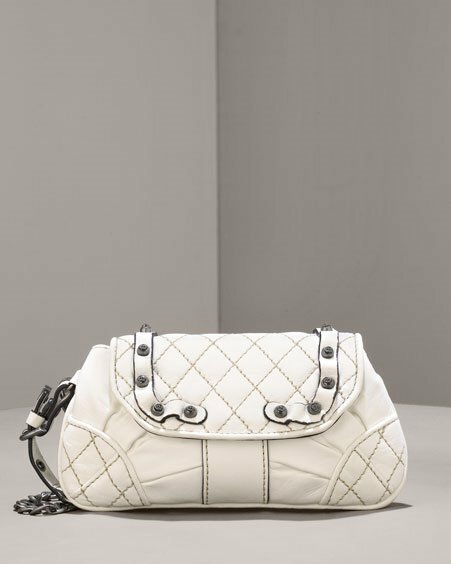 It is by Juicy Couture and is the Quilted Leather wristlet in white and will cost you $155. You can buy it at Neiman Marcus. This is the perfect metallic clutch for this post...It will dazzle everyone who lays eyes on it!!! It is the Lauren Merkin Eve Perforated Leather clutch and will empty your pockets $200. You can find it a Neiman Marcus. This is for the girl who's all business, but wants to make a mark on her prom night too!!! 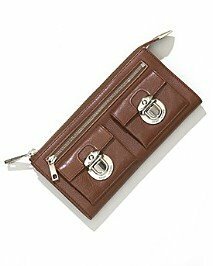 It is from Marc Jacobs and is the Zip Clutch, costing $375. You can get it at Bloomingdales. 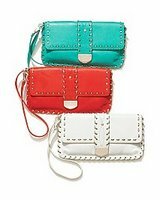 This clutch comes in these beautiful colors that are perfect for the average bohemian. I absolutely it, and i'm not even a hippie or a bohemian!!! It is MICHAEL by Michael Kors and is the stitched wristlet, costing you $98. You can get it at Bloomingdales. 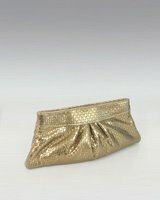 This clutch is from Urban Outfitters and even though the sequins will dazzle everyone, the price will drop em' dead!!! It is the Night Life clutch costing you...$4.99!!!! 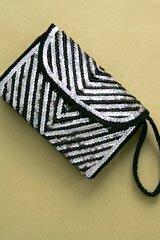 Okay, so that is the end of my clutch section, I've posted a clutch for the princess, the wild one, the rocker, the metallic-lover, the all-business, the bohemian, and ta-da the cheap-o.